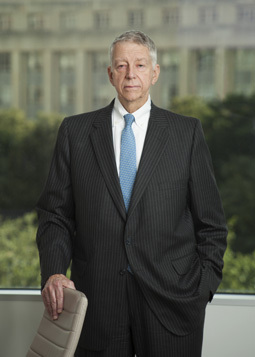 S.G. Johndroe III concentrates his practice in litigation affecting real estate interests, including condemnation, real property valuations, transactional conflicts, and boundary disputes. He has tried many cases involving real estate issues and has been called upon to provide expert testimony with regard to land titles as well as to act as a mediator in the resolution of real property disputes. In addition to his trial work, Mr. Johndroe has handled many cases at the appellate level, presenting oral arguments to appellate courts in over thirty cases. In addition to appearing before Texas Courts of Appeals, he has argued before the Supreme Court of Texas, the Fifth Circuit of the United States Court of Appeals, and is admitted to practice before the Supreme Court of the United States. Represented landowners and obtained 1 million + jury verdict in Parker County case involving condemnation for electric transmission lines. Obtained 1.5 million settlement in Parker County involving condemnation case for a gas pipeline. Obtained 1.2 million jury verdict in Hood County involving condemnation case for a highway taking. Obtained an over 1.1 million dollar jury verdict for landowner in an eminent domain jury trial against the State of Texas in Hood County. “Senate Bill 18”, International Right of Way Seminar, Arlington, Texas 2011.